These little waterproof lights are perfect for event and decorative lighting where you want lighting effects without having to run cables to plug them in. They have many uses - inside vases (with or without water! ), on table centrepieces where you might usually use tea-light candles, or scattered on the lawn or garden for an evening party. These lights come with an Infra-Red remote control so that they can be turned on without touching them! All you have to do is initially remove the card battery protector disc from within the light, do it up tight, then it's ready to go. Use the remote to turn them on and off. The lights take 2x CR2032 button cell batteries, which are replaceable, and so they are reusable. 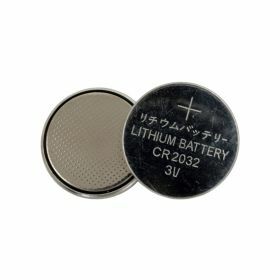 The remote takes 1x CR2025 button cell battery. The light is waterproof, provided it is screwed up tightly, but the remote control is not. These little lights are great decorations for at functions such weddings, birthdays, New Year parties and much more. They come in Warm White, Cool White, Blue, Red, Green, or RGB (colour-changing). Please note that if the lights are left screwed up tight after use, they will still slowly drain the batteries in the 'off' mode. To make the batteries last, either replace the cardboard inserts or unscrew until loose until the next use. All colours are also available in a 12 pack. Get a 5 pack of replacement batteries here.